Here's Mike, making the Hank pins that were so popular in the last several weeks. 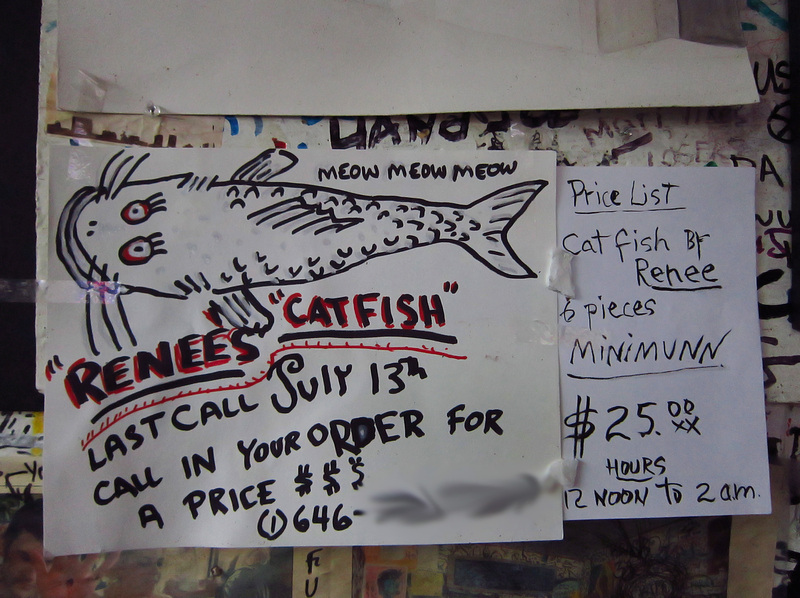 I'm kicking myself for not placing my last order for Renee's catfish. One of my favorite memories of Mars was me sitting at the bar one weekend afternoon, reading a book. The bar phone rang and the bartender called out, "Hey, it's for you!" Uhhh...? Who one earth would call me there?? I picked up the receiver and heard the familiar voice of Renee asking me if I wanted a catfish sandwich. Hell yeah! Ray was dispatched to Chinatown to pick up the fish and, shortly thereafter, here comes Renee into the bar carrying a hot sandwich wrapped in a paper towel. It smelled divine and tasted out of this world. Thank you, Renee, for your kindness, generosity and most amazing cooking! Yours is the best catfish on this planet, hands down. I'm not sick of this by any means! Keep posting these photos. 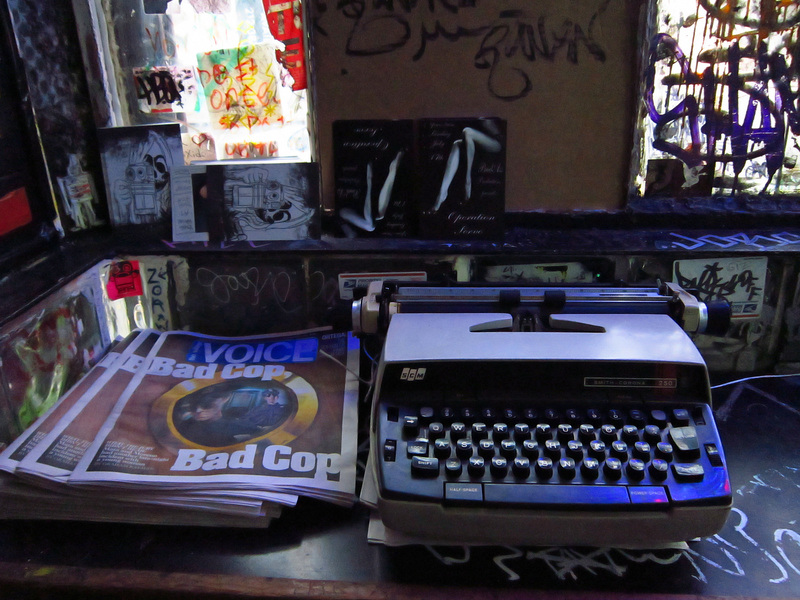 Loved the catfish story and that typewriter photo rules! yeah, keep 'em coming! please. I love your coverage of Mars Bar Goggla. It is sad..but hopefully Hank will open another bar. Fingers crossed.